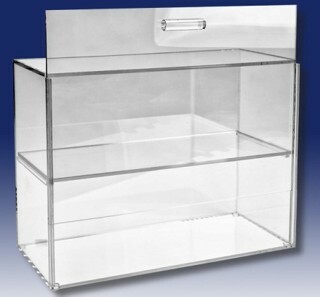 Our Clear Acrylic Security Showcases Are Sturdy Acrylic Display Cases for Your Merchandise, Collectibles, Memorabilia or More! 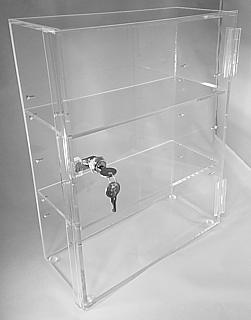 Each Clear Acrylic Security Showcase Keeps Your Items Safe and Dust Free. Most Showcases Come with Lock and Keys For Extra Safety. 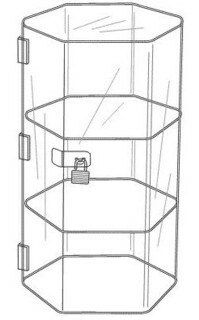 Most Showcases Have Removable Shelves for Safer Transport and Several Models Offer Multiple Shelf Placement Options. PEZ RAILS 12"L to 48"L Hold your PEZ Dispensers UPRIGHT!